Multi-Role Aviation Terminal from Orbit Communications to Support Inmarsat's "SATCOM as a Service"
Orbit Communication Systems Ltd. (TASE: ORBI) and Inmarsat Government now have a long-term agreement to offer end-users a new modular, multi-role aviation terminal, optimized for use over Inmarsat’s Global Xpress (GX) network. 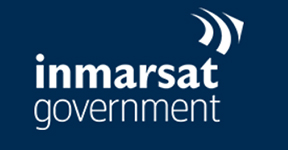 The new terminal will operate over Inmarsat’s GX constellation and will deliver Inmarsat’s ‘SATCOM as a Service’, featuring commercial Ka-band and military Ka-band capabilities, which are fully interoperable with the Wideband Global Satcom (WGS) system. The new compact Orbit terminal, GX46, features a 46cm (18-inch) antenna and will be delivered fully integrated with modems, electronics and related software. The lightweight, small-foot print terminal couples high performance and Orbit’s industry-leading reliability, which will open new communication opportunities for business jets, military mission aircraft and unmanned aerial vehicles (UAV). Following completion of the Inmarsat certification process, volume production of the terminal is planned at Orbit’s U.S.-based facilities. Stav Gizunterman, VP of R&D at Orbit, said the firm's new multi-role terminal has been several years in the making with Inmarsat. This flexible, integrated terminal is uniquely capable of supporting both Global Xpress and WGS services, and represents a truly innovative way to help expand their airborne services. Steve Gizinski, CTO of Inmarsat Government, added that the implementation of the GX46 benefits from Orbit’s years of experience developing airborne SATCOM systems. The GX46 will expand the company's airborne connectivity solutions with an Inmarsat type-approved terminal that is suitable for an important market segment. This terminal will support operations in mil band (Inmarsat-5 and WGS) and will operate seamlessly on Inmarsat’s global Global Xpress network.